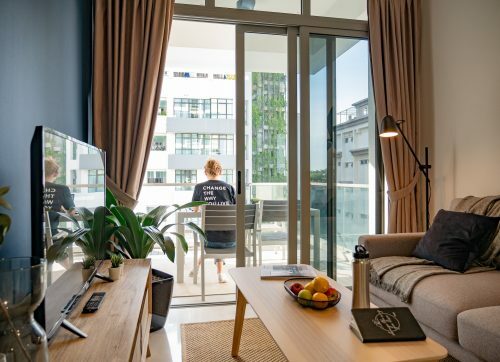 SINGAPORE – APAC Realty Limited today announced that it has entered into a joint venture agreement with Hainan Zhong Zhi Sheng He Real Estate Investment Consulting Co., Ltd and Bei Guo Tou (Shanghai) Equity Investment and Fund Management Co., Ltd. The joint venture, ERA Hainan Real Estate Marketing Co., Ltd, will conduct brokerage and resale brokerage businesses, as well as establish training for and licensing of real estate agents in Hainan. This agreement presents APAC Realty with an opportunity and key milestone to penetrate the China market. This allows APAC Realty to have more participation and control in the business with better profit margins through its equity participation. The full range of real estate agency service is similar to those offered in Singapore such as brokerage services covering new sales, resales and leasing in the residential and commercial sectors. 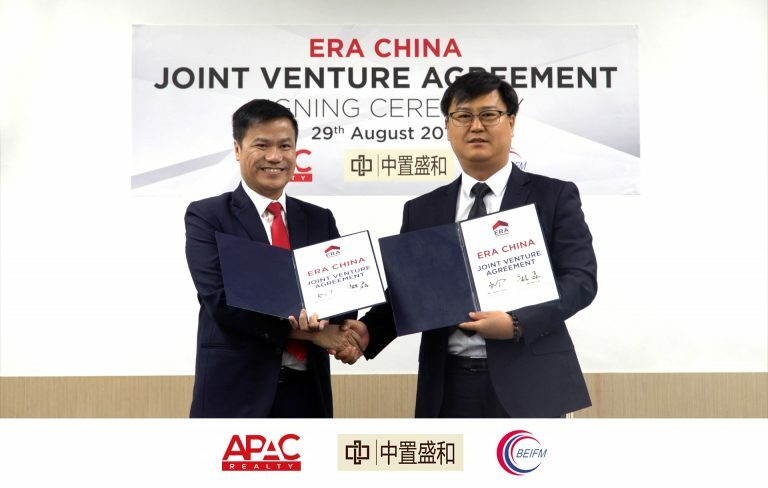 APAC Realty and Zhong Zhi Sheng He Real Estate Investment Consulting Co., Ltd will each own 40 per cent shareholding in ERA Hainan Real Estate Marketing Co., Ltd., and Bei Guo Tou (Shanghai) Equity Investment and Fund Management Co., Ltd will own the remaining 20 per cent. The registered share capital of the joint venture is RMB 20 million, approximately SGD 4 million. 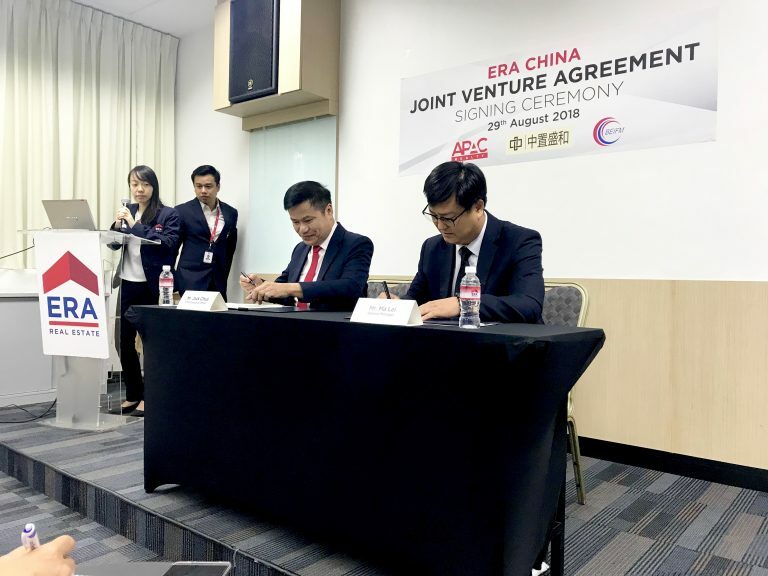 As part of the joint venture agreement, all existing project-sale businesses from Zhong Zhi Sheng He Real Estate Investment will be transferred to the new joint venture. 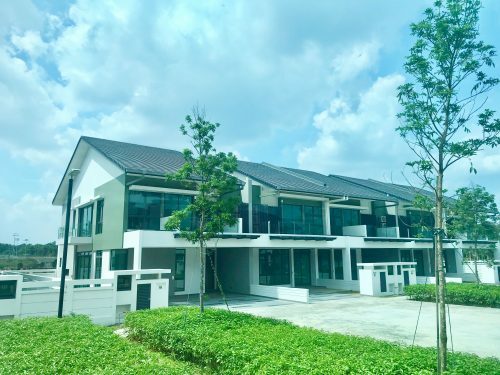 Established since 2015, Zhong Zhi Sheng He Real Estate Investment has been in the business of real estate consultancy and marketing services, with about 50 employees currently. It has acted as a consultant for and/or successfully marketed countless projects. Moving forward, the company has also secured the rights to market upcoming projects. Bei Guo Tou Equity Investment and Fund Management Co., Ltd is a private company incorporated in the People’s Republic of China in 2013. It specialises in equity investment and asset management; investment advisory; business consultancy; and management services. Its registered share capital is RMB 40 million. Currently, the company is also the shareholder of Clear Water Bay International Information Industrial Park, a high-tech industrial park approved by the Hainan Provincial Government. With four industry positioning – cloud computing platforms and next-generation Internet-based service outsourcing, smart Internet, cloud services and digital content, the golden ecological coastline industrial park is dedicated to building a world-leading, domestically-initiated multi-urbanization technology city. 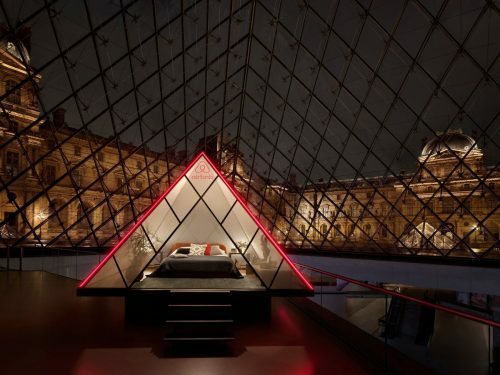 Article Contributed by APAC Realty Limited.